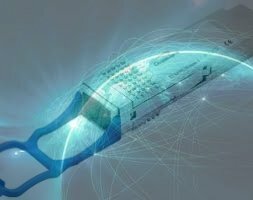 For home use, one of the main advantages of using a data switch is that Ethernet connections will become much faster and more reliable, due to the higher bandwidth it can provide. As such, it’s perfect for things like gaming or transferring network files, and other real-time application will perform better through the home network switch. For example, if there are several users in your home, then you can use the switch to share an Internet connection to all the users and all the connected devices at the same time. Also, you can use the network switch to build a home LAN. Then you can share any type of files may be a music folder across your home network. Instead of transferring files on the Internet, other members of your home network can access the songs in the folder through the home network switch. This helps to simplify the transmission flow. In addition, you can add a guest VLAN to manage the guest’s access permission and ensure the Internet security. Network speed is always the most important performance that people concern most. Currently, the network switches are capable of handling 10,100 even 1000 Mbps transfer data, which is sufficient for home use. Therefore, choose the switch that can provide the appropriate speed that you need. The port number means how many networking devices can be connected to the switch. Network switches with 8 ports, 12 ports, 24 ports, and 48 ports are available on the market. So select a switch with enough ports for your devices. If you’ll add more devices in the future, then choose a switch which will offer you extra room to grow. Network switches with 24 ports are excellent for home use. Considering future upgrade, speed, and ease of use, we choose FS S2800-24T4F as the best Ethernet switch for home networking. And we also recommend FS S1600-24T4F switch as an excellent budget option. 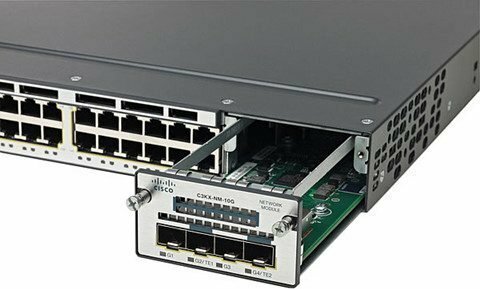 An S2800-24T4F switch is a great option for home use and small business. It includes 24 10/100/1000BASE-T RJ45 copper ports and 4 1G SFP/RJ45 combo ports. The switch provides high performance with a packet forwarding rate up to 42Mpps. It supports multiple functions like VLAN, flash memory, etc. to make it easy for your network management. Besides, it adopts the fanless design and therefore it will not generate any noise, which is welcome in both homes and offices. As described above, we know how to buy a home network switch. We can select one based on the speed, ports, and budget. 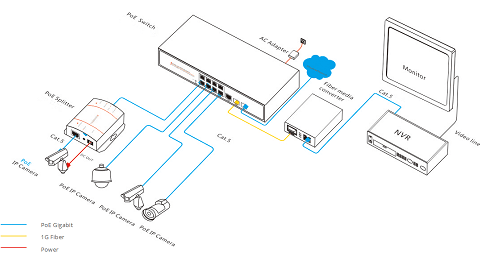 Using a network switch can help us optimize our home network. 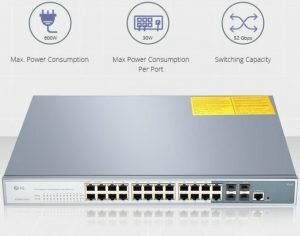 Related article PoE Switch vs Non-PoE Switch: Which One to Choose? ← Horizontal Cable Management VS Vertical Cable Management: Which to Choose?